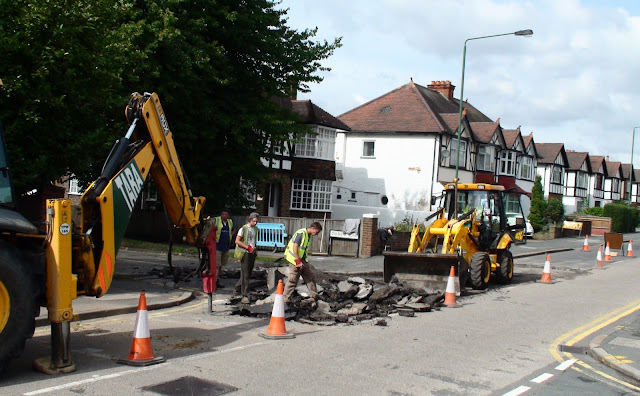 The WORCESTER PARK Blog :: Guess What – Road Works! Today Worcester Park’s dedicated temporary traffic lights system has not been gathering dust in a shed. It has been put to good use in Cheam Common Road while resurfacing work is carried out opposite Colborne Way. 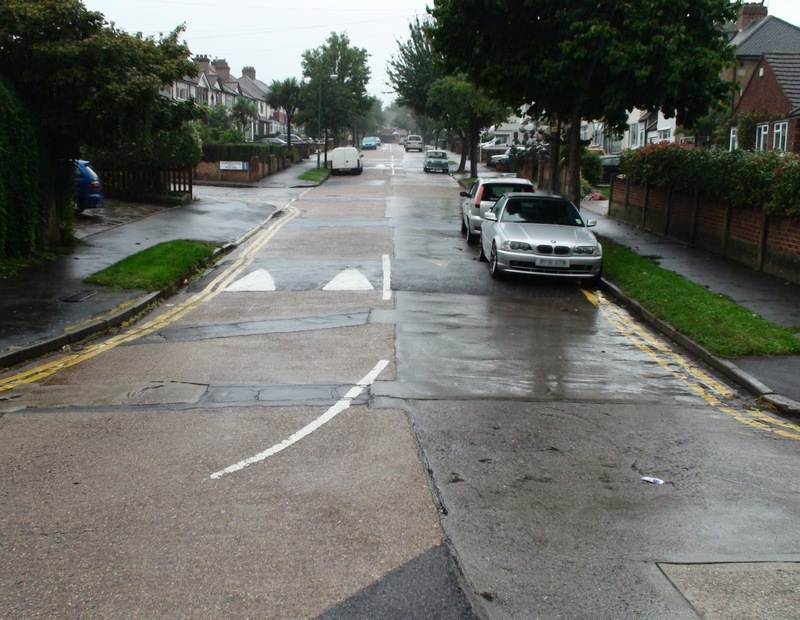 Apparently the road there had sunk and needed to be fixed. The gentlemen who have been carrying out the work there since about 10am said it should be finished today, or if not then tomorrow morning. I was also assured that they wouldn’t be leaving the traffic lights up overnight. They should be taking them down before 4pm and if they need them tomorrow they will put them back up again. 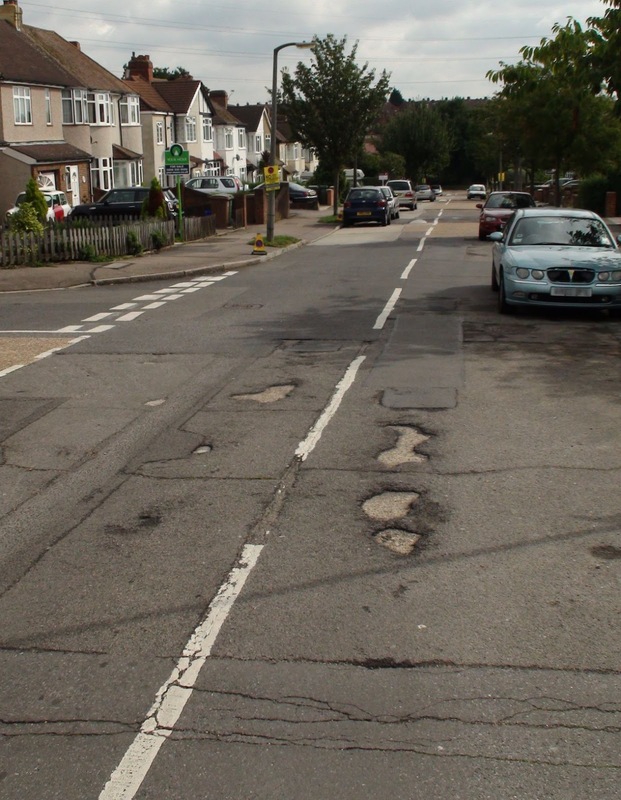 While on the subject, Charminster Road is due for resurfacing this Thursday (12th September). I know I could have finished that sentence after the word ‘resurfacing’ and been accurate at any time over the last many years so it’s good to see something actually being done. 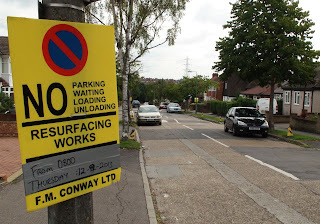 So remember not to park your cars in Charminster on Thursday or they might get resurfaced too. 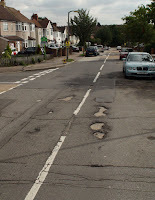 Thanks to blog reader Zoe who tells me that the lights have now gone from the Avenue as well. False alarm. 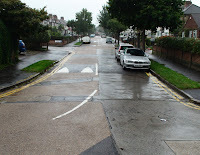 As this picture taken yesterday, Friday, shows (though the drizzle) there seems to be a complete absence of newly resurfaced tarmac anywhere on Charminster Road.